Harmonix may have dropped one of their "many" upcoming projects. The question is: What game drew the short straw? Rock Band and Dance Central creators Harmonix may have shut down production on an unannounced Xbox One game, based on an employee's recently updated Linkedin account. In his own words, Senior Designer Rob Stokes "designed levels and did story development for an unannounced Xbox One Kinect title, which was eventually cancelled." According to the page, Stokes left Harmonix in December. 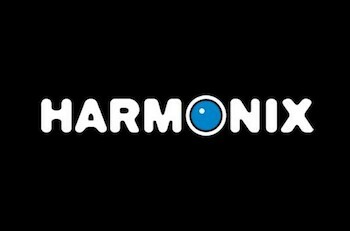 Harmonix laid off "a small number of employees" in early December, but those cuts were part of a year-long initiative to trim the company's staff. The developer laid off another "small number of employees" in April. Harmonix has plenty of unannounced games to cut. In 2012, Harmonix claimed to be working on three "new AAA IPs" aside from its then-announced offerings, Dance Central and Rock Band Blitz. Assuming one of those three was the studio's Kinect-based music-motion game, Fantasia: Music Evolved, there are still two completely new ideas they could have axed without us ever knowing. Past rumors have suggested one of the games is (or was) "real-time combat game" for next-gen consoles. At the same time, Harmonix bought up a set of URLs related to something called "Chroma" last week, according to Kotaku rumor columnist Superannuation. One of the domains, "chromaalpha.com," suggests the game may be PC-based and possibly destined for Steam Early Access. They also registered "Chromabeta.com," so maybe they'll do one of those too.